I heart sugar cookies and these soft pillows of sugary goodness are not just for Christmas. These cookies are so easy and yummy you’ll never use another recipe again. Using orange zest is what gives this cookie an extra special flavor. The best part about sugar cookies is decorating them. Grab your kids and let them have some fun with the frosting and edible glitters and sprinkles. Sugar cookies in moderation won’t kill you, but they’re rich and delicious, so death-by-cookie might be tempting. My tip to you: Snag a few for the cookie jar, but then gift your love in the form of these cookies. 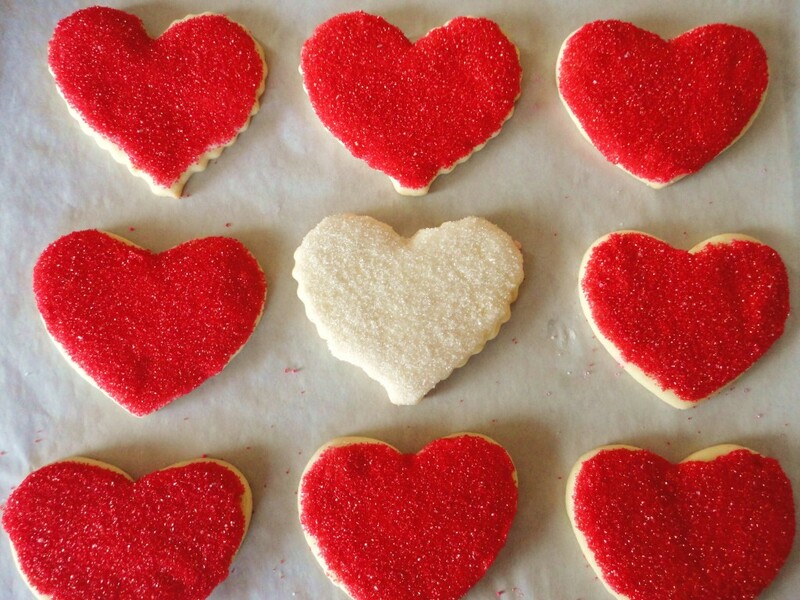 Help your children package the cookies and deliver them to neighbors and friends for Valentine’s Day. These can also great for classroom cookie swaps. The shared experience of decorating sugar cookies is one you’ll cherish with your family. Let your children be creative in their love for cookies. It could also be a good time to talk with them about love. Share stories of the first time you fell in love. Or, better yet, tell a story about how their abuela and abuelo fell in love. Turn this Valentine’s Day into a cherished memory for your children. In a large mixing bowl, cream the butter. Slowly add the sugar, and continue to cream. 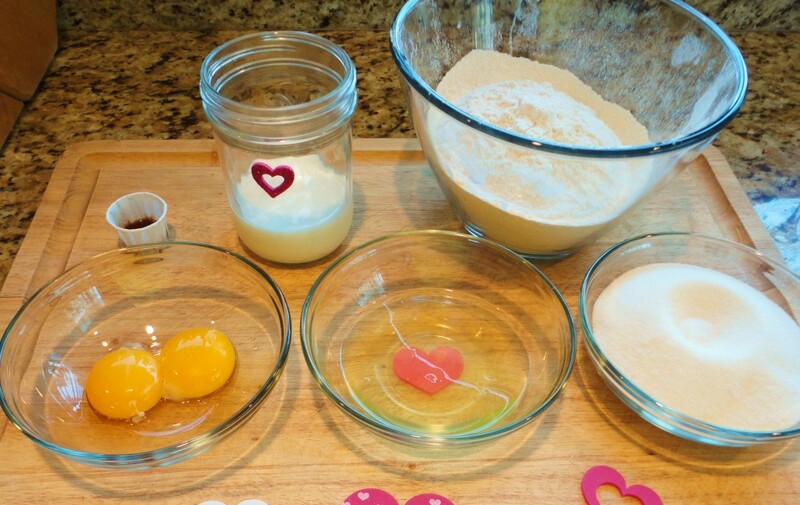 Add egg yolks one at a time and mix to fully incorporate. Add vanilla and orange zest. Sift together all the dry ingredients and slowly add to the mixing bowl. The milk will then be added a few ounces at a time. Mix until your dough comes together. It shouldn’t be overly sticky. Wrap in plastic wrap and chill in the refrigerator for 30 minutes. Preheat your oven to 375°F. Line your cookie sheets with parchment paper or lightly spray with a non-stick cooking spray. 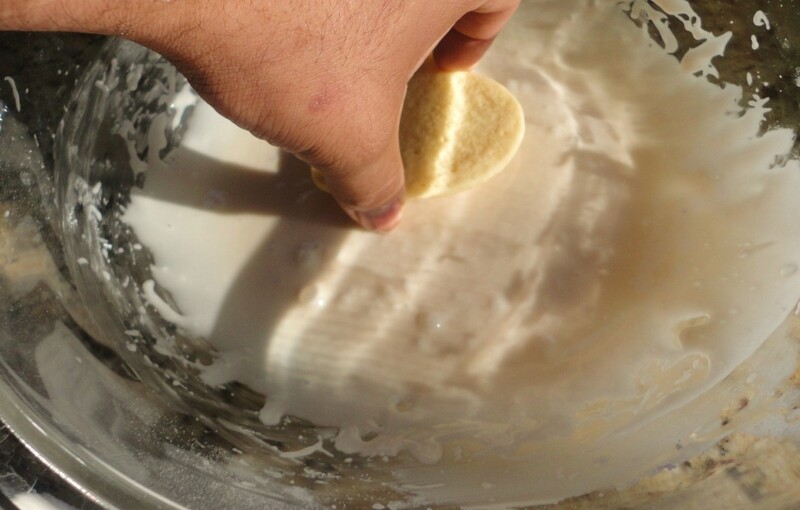 On a floured surface roll out your dough to 1/8 – 1/4 inch thick. 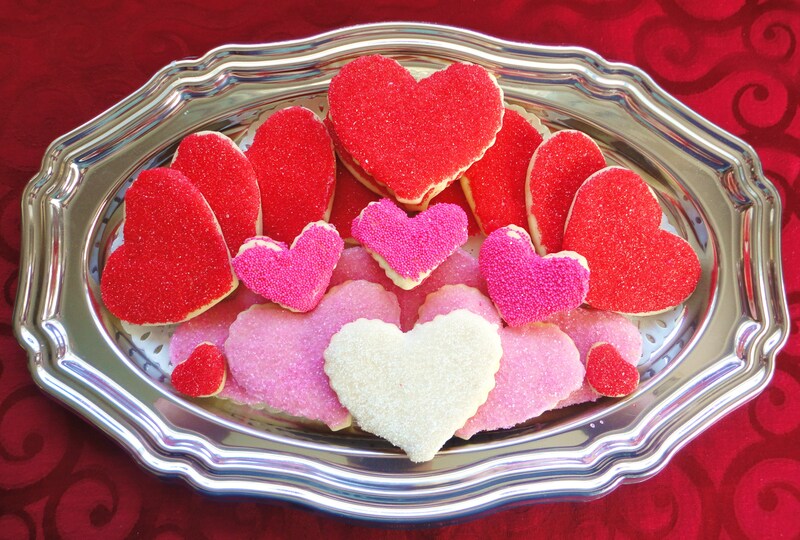 Using your favorite Valentine’s Day cookie cutters cut out your cookies and place on the prepared cookie sheets. Reroll your dough scraps. Bake for 12-15 minutes. You want a very slight golden brown color on the bottom. Make sure your cookies are completely cooled before your children start decorating. If you have patience and a slightly steady hand, you can use pastry bags to pipe your cookie designs by portioning the icing into different bowls and mixing in a few drops of food coloring. For piping, make sure your icing is a little thicker by adding a little more powdered sugar. For my cookies, I simply dip the top side of the cookies into the mixing bowl of icing. Shake off the excess icing. Place the cookies on a paper plate and pour the sprinkles on top, making sure to use a different plate for each color. Let the excess sprinkles fall back on the plate and reuse the sprinkles. When all the cookies are decorated, simply pour the unused sprinkles back into their container using a funnel. Let the icing dry completely before you package or store the cookies. Place the sugar in a large mixing bowl. Using a hand mixer/stand mixer on low, slowly add the milk to the sugar. Mix and scrape down the sides. The icing should be thick but still fluid. 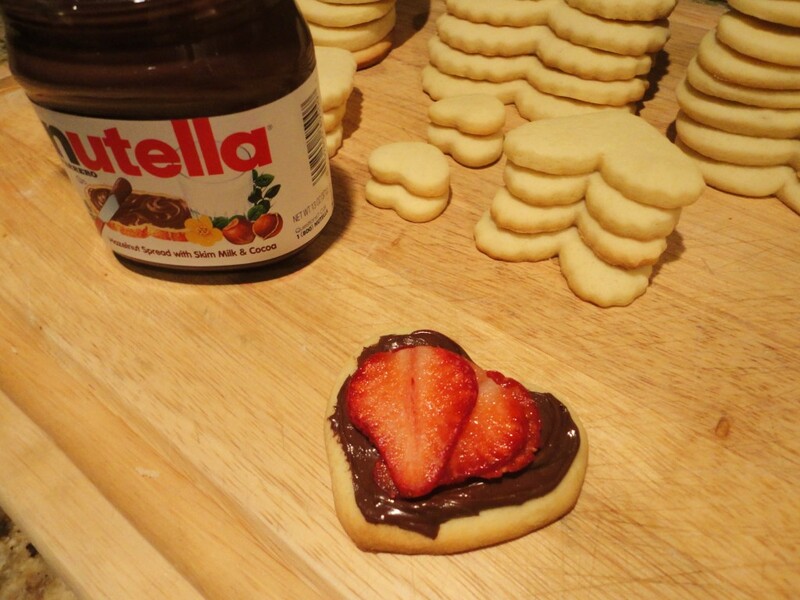 For a slightly less sugary option, top your cookies with your favorite hazelnut spread and sliced strawberries.